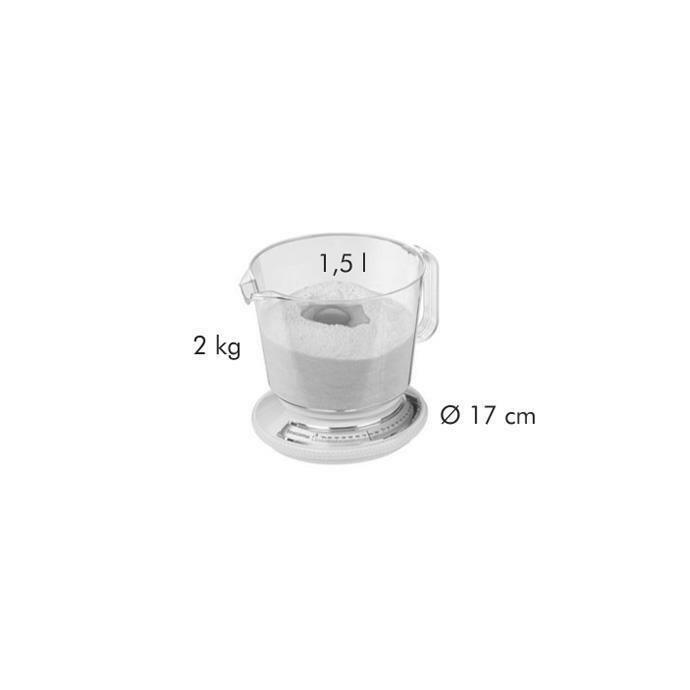 Excellent for weighing food up to 2.2 kg. Adding feature with the possibility of step-by-step weighing of several foods in a single vessel. 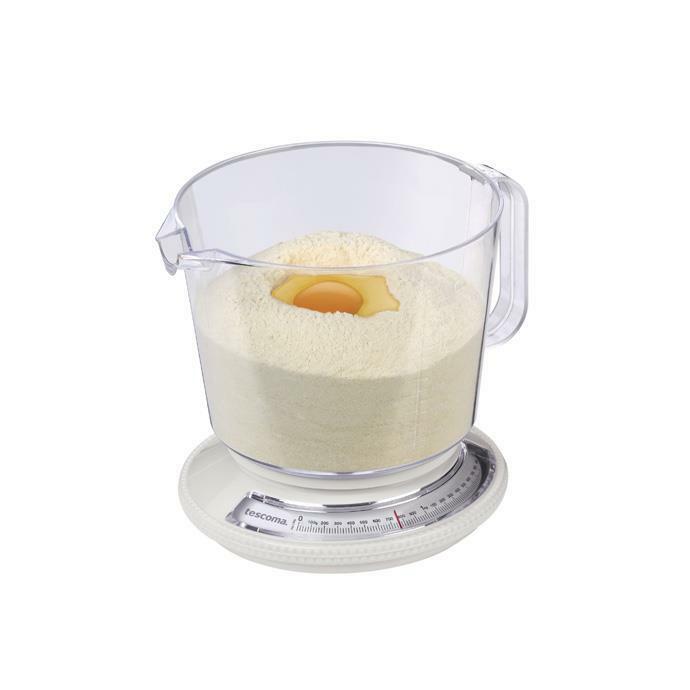 Provided with a user friendly scale with 20 g increments. Intended for domestic use.